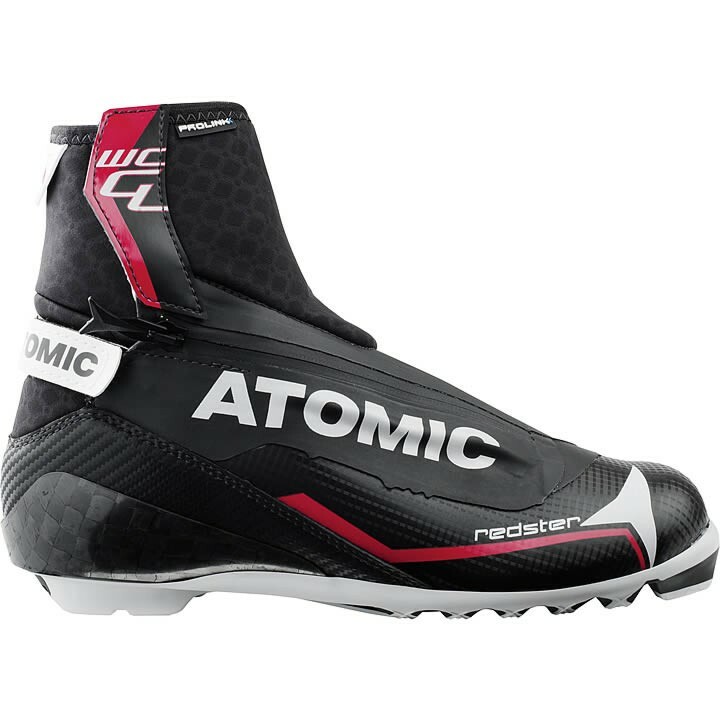 The right boot can help you stay fast - and the Atomic Redster Worldcup Classic is packed with World Cup technology to do that. Atomic has made it super light with a perfect classic flex. This classic boot features Atomic's new Prolink outsole, which gives you an exceptional snow feel and is fully compatible with the other primary boot-binding system on the market. Then for the perfect fit it comes with a fully customizable liner with Custom Fit. The Wrapping Lace keeps the fit solid, while Quicklace adjustment lets you fine-tune without the need for a ratchet. MyCustomFit: A clever addition to Atomic boots - simply heat the boot with a heater, put it on and it will mold to your foot for a completely personalized liner in a matter of minutes. Precision Closure: The new Wrapping Lace keeps the fit solid. Quicklace adjustment lets you fine-tune without the need for a ratchet.